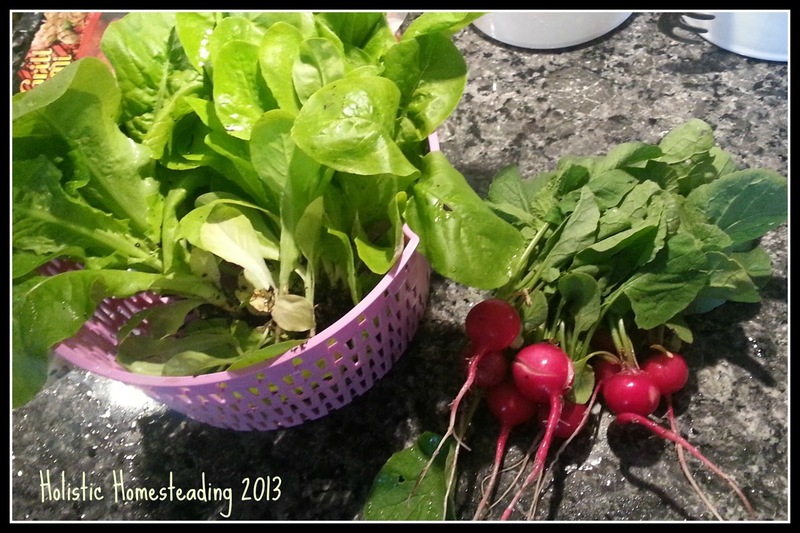 Holistic Homesteading: First Real Produce! Look at that delightful salad and the plump radishes! This is our first produce we have been able to get out of the garden, and it was delicious. As soon as we have picked all the radishes, I will be sewing another batch of them. We will be sewing another couple of heads of lettuce again and then we will fill the beds with autumny veg I think. When do you plant your fall veg?